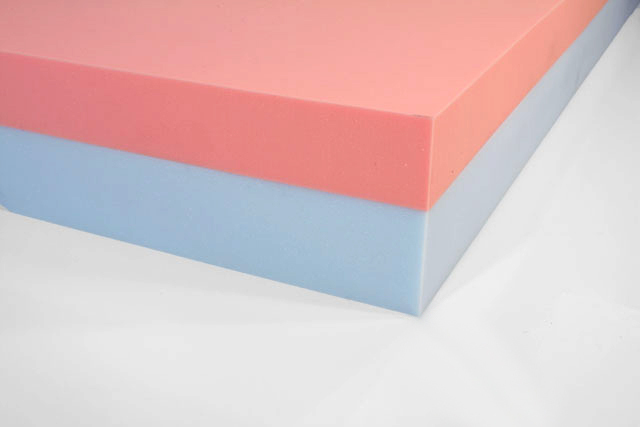 Foam Mattress Topper Thickness: What’s Right For You? As one of today’s most popular comfort products, foam mattress toppers are purchased everyday by people who wake up each morning sore, exhausted, and unhappy. Offering the ability to extend a mattress’ life and maximize its comfort, foam mattress toppers are practical, functional, and affordable products that improve quality of sleep for many people. With these benefits, it would seem that buying a mattress topper is one of the smartest things you can do if you have even the slightest problem getting a restful night’s sleep. While this is true, to get the most out of a topper, it needs to be sized right for the person using it, and there are a few things worth considering when deciding what topper thickness is right for you. With the different body types and comfort preferences that exist, there are many different thicknesses of mattress pads. Having customization options is a wonderful thing, but accidentally selecting the wrong thickness is often where the few problems people encounter with toppers originate. Due to the variety of foam types mattress manufacturers make into toppers such as latex, conventional foam, or heat-sensitive memory foam, individual performance characteristics of a material can have an impact on how a given thickness will impact a user. Understanding how the three materials typically used for toppers can be expected to behave at a given thickness helps customers purchase appropriately sized toppers, maximizing their already substantial benefit. Fortunately, much of how foam toppers function can be accurately predicted with common sense. For example, a single inch of low density foam isn’t going to impact the comfort or support the weight of a 300 pound football player. But depending on the material selected, there are a few caveats that adhere to behavior characteristics of foam many people simply aren’t aware of. With its ability to provide custom contouring, memory foam is the most popular material for people looking to get relief from an uncomfortable, hard bed. Unfortunately, that same heat-sensitive contouring is what creates problems for some people who don’t fully understand how that characteristic works. As a body warms the foam topper, it softens and your weight drops you into the material for a cushioning, cloud-like experience. But as you sink into the foam, your body doesn’t stop warming the material when you reach the “right spot.” The continual warming and softening of deeper areas causes sleepers to sink even farther into the foam. So while instinct may tell you that more material is firmer and less is softer, when you’re atop 7 or 8 inches of memory foam, you will sink deeply into the material, losing the support qualities of the mattress’ base. Toppers that are 7 or 8 inches thick are actually softer and offer less support than a 3 inch foam topper that has a base closer to the sleeper. This behavior of memory foam is why The Foam Factory only sells their memory toppers in 2, 3, and 4 inch thick foam. It is also why the majority of memory foam mattress types are comprised of a conventional layer for a base that doesn’t react to heat, and a thinner layer of memory foam on top. 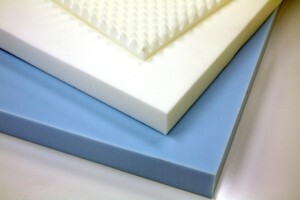 Conventional foam toppers offer much more predictable mattress comfort. Compression and sink is based exclusively off the particular material’s firmness and the weight of the user. However, this also means that a conventional foam topper can reach “maximum” softness. At a certain point, the foam will compress to where the weight of the sleeper is fully supported. Because of this, excessively thick foam will only add more inches to the height of a mattress and more dollars to the price tag. If a person has a 4 inch topper that compresses 2.5 inches, buying a 6 inch topper, bordering on mattress thickness, will produce the exact same feel. Latex mattress toppers function the same way. Regardless of material, there are a few universal rules to remember when deciding on the thickness of a mattress topper. In almost every case, a topper less than 2 inches thick is unable to support the weight of an adult and will bottom out. While keeping in mind the diminishing return of overly thick toppers, larger individuals will still want thicker toppers because of the extra compression that can occur. Likewise, smaller individuals typically will want thinner mattresses to keep the material from being too firm. Armed with a little knowledge and the willingness to ask questions, you should be able to get a mattress topper that fits your needs perfectly.